Beer in waffles? Has this lady lost her mind? I know what you’re thinking, but trust me on this one. You see, it all comes down to carbonation. Carbonation aerates a batter. An aerated batter is a lighter batter. 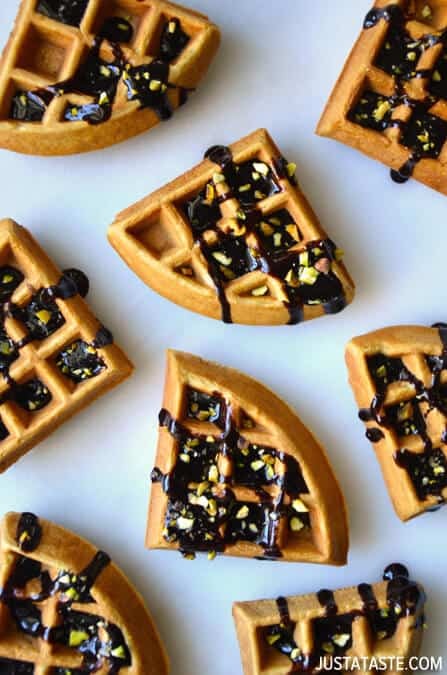 A lighter batter results in fluffier waffles. 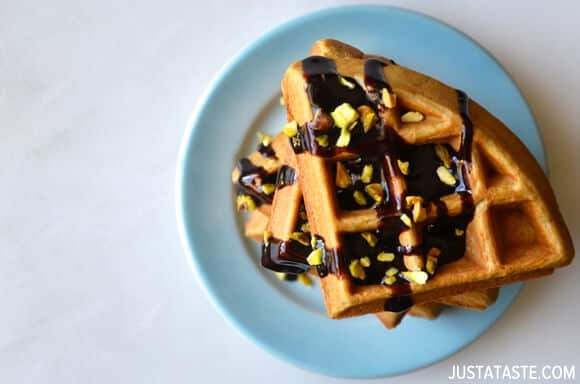 Fluffier waffles make for happier eaters. Happier eaters are … happy … er … people. You get the picture. Today’s carbonated beverage of choice is a good ol’ Guinness beer. Because it just wouldn’t be St. Patrick’s Day without a taste of the iconic, rich, frothy suds … and perhaps a Cheesy Leftover Mashed Potato Pancake or two. And it just so happens that Guinness beer pairs beautifully with chocolate, thus the swap of maple syrup for chocolate syrup. Finish it all off with a touch of green (shout-out to the chopped pistachios) and your St. Patrick’s Day celebrations just got a whole lot sweeter. In a large bowl, whisk together the flour, salt, baking powder, baking soda and sugar. Melt the butter in a medium saucepan set over low heat. Once the butter has melted, stir in the milk and beer and cook just until the mixture is warm. In a medium bowl, whisk together the eggs and vanilla extract then slowly pour the warm beer mixture into the eggs, whisking constantly until fully combined. 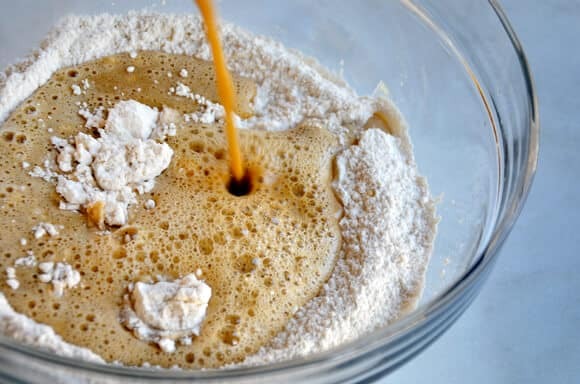 Make a well in the center of the dry ingredients then slowly pour the beer-egg mixture into the well, whisking until all dry ingredients have been incorporated and only a few lumps remain. 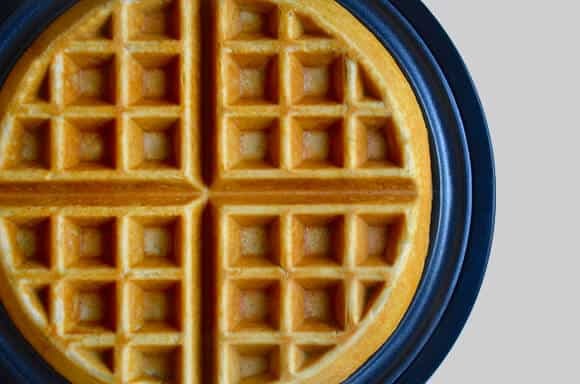 Preheat your waffle iron according to the manufacturer's directions and lightly grease it with cooking spray. 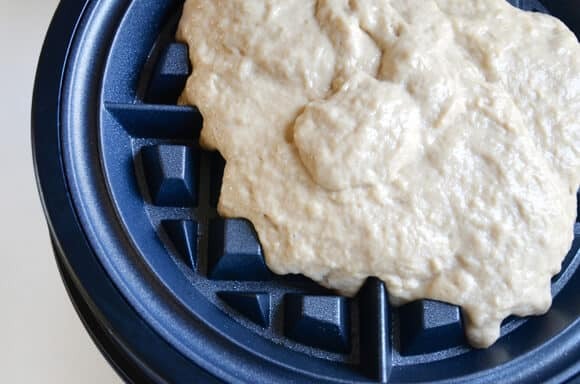 Pour a portion of the batter into the heated waffle iron and cook to desired doneness. 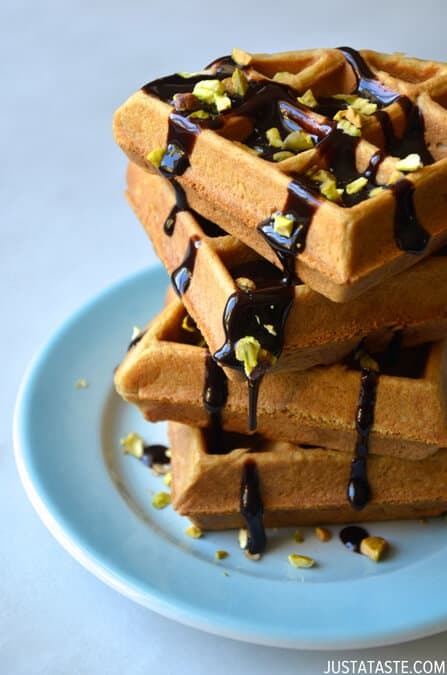 Serve the waffles topped with chocolate sauce and chopped pistachios.